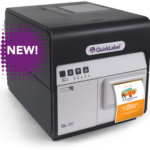 This Series 5 Re-Pack system prints desired information onto the label using a completely integrated thermal transfer technology desktop style label printer. 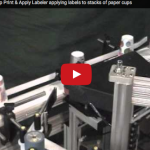 Once fully printed, the label is then wrap applied around the base of the cup stack via direct wipe on application that is completed using an independently drivenWrap station. 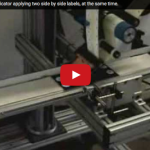 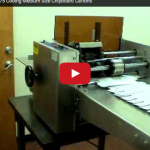 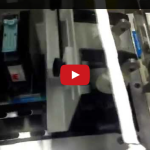 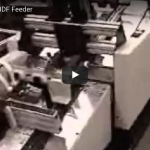 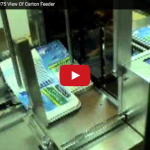 Label Applicator applying two side by side labels, at the same time. 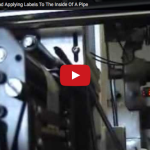 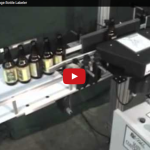 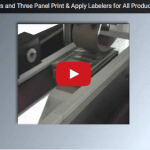 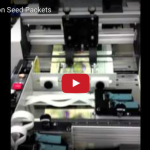 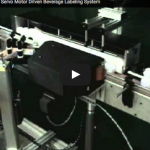 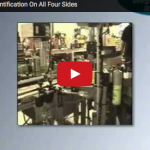 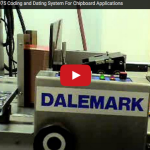 The Series 3 Labeling Applicator can handle labels up to 4.1” wide. 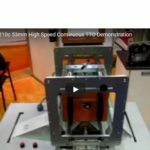 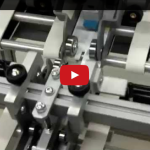 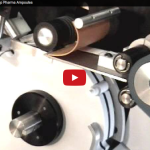 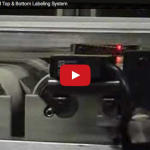 In this video the system is applying two smaller round labels, that fit within that 4.1” maximum web width, simultaneously to a flat product. 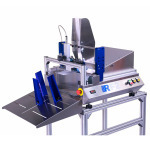 Label Applicator equipped with the optional Re-Pack fault warning package and warning lights. 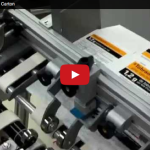 All Re-Pack labelers can be equipped with the Re-Pack Fault Warning Package of controls. 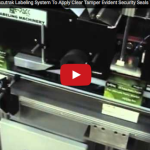 This optional Series 3 warning system identifies operational fault states of the labeler and alerts line personnel with the illumination of color stack lights indicating the system status. 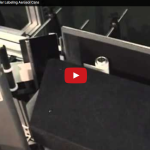 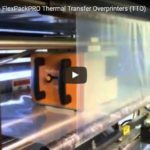 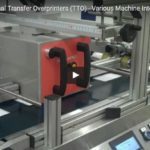 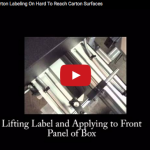 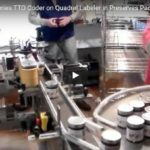 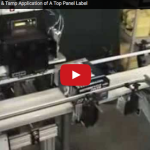 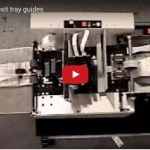 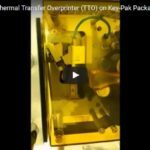 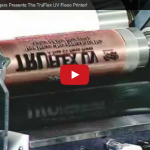 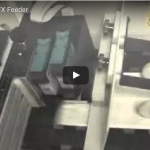 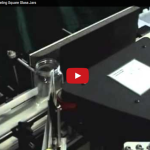 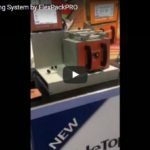 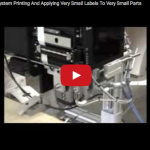 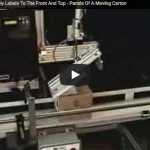 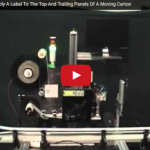 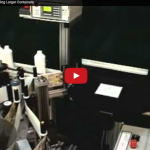 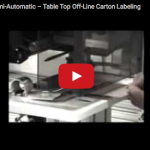 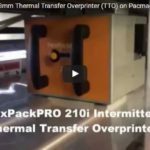 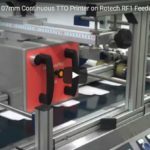 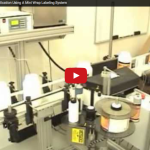 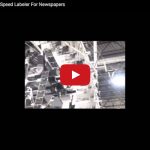 This short video shows the print and application of a label to the top and trailing panels of a carton by wrapping it around the top-trailing corner of the carton. 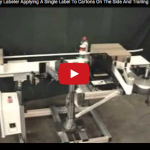 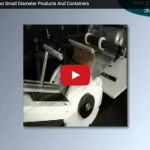 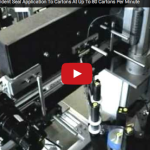 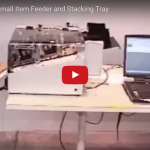 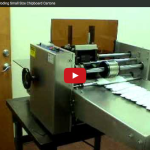 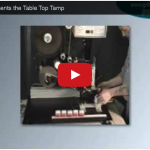 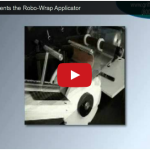 This label applicator is designed to wrap labels around tapered containers. 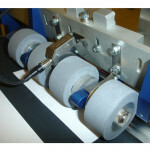 The application requires that a “Banana cut” style label is used to match the taper of the container. 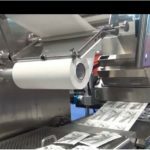 We have overcome the label skew issue by partially pre-dispensing the label and finishing the application at the wrap station. 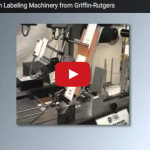 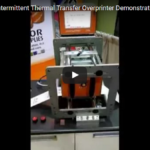 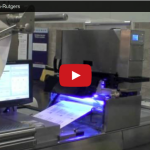 Griffin-Rutgers presents the InteliJet HD Printer, a high performance, inline, digital printer. 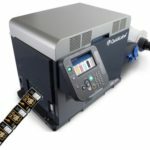 Using the world’s fastest and highest resolution inkjet technology, the InteliJet HD meets increasing and rigorous demands for printing dates, times, barcodes, serial numbers, and texts on coated and uncoated substrates.